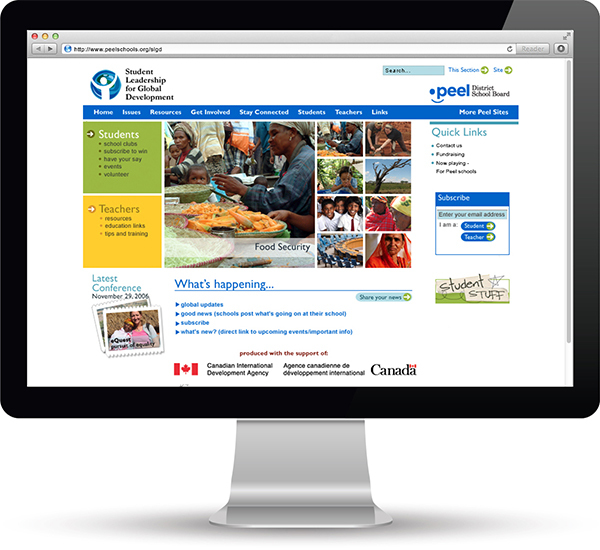 With a complementary design based on the Peel School Board site, this site has a stronger focus on visuals. Using vivid photographs to represent each issue, it brings the issues up front and adds visual interest to encourage further exploration. 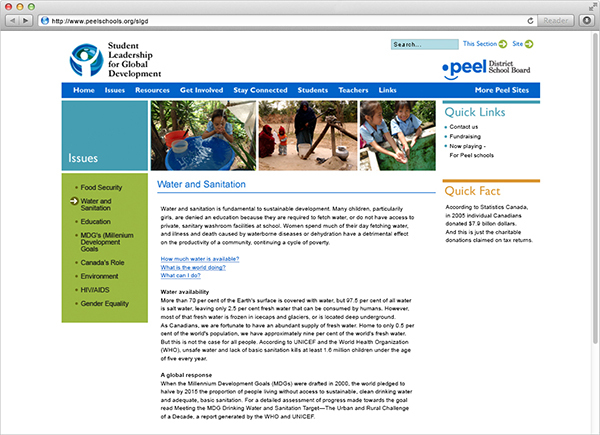 The scope of our involvement included web design and development, along with related printed collateral.